This article is a form of response to LTTW’s previous Your Thoughts which raises the question, “Can We Listen to Music Whilst Do Other Things?” The writer, in this case, tried to dwell in a more specific angle, which is what is really going on in our brains , and what the impact to it, when we are working (specifically in an urban, office environment) while listening to music. As a counter-thought to the article, however, we need to look at this issue from other perspectives as well. One is how the music listening itself has had a long history of changes and development—especially those triggered by technological developments, more particularly since the Industrial Revolution—so that it could be practiced and enjoyed as it is today. From this standpoint alone, we need to realize that for thousands of years, before the presence of a tape recorder, music listening can only be possible when the audiences were near or in front of the performing musicians; then it shortly changed, when music has been able to be presented in the form of physical and digital recording, and just in a span of hundreds of years, music listening can now be experienced personally, wherever, whenever, and whatever we want. [Jakarta, LttW] Have you ever wondered about the reason why you work better or worse when you’re listening to music with or without your headphone? A recent article I read on Quartz.Com written by Adam Pasick has brought a more detailed explanation as to why certain types of music will help us in increasing the level of productivity, and while others distract us more from accomplishing our tasks. Before I get into details, I’d like to share a picture of the different brain centers that we each have, and what effects do music actually have on each one of them. The first thing that we need to understand is that once we put our headphones or turn on our speakers, music immediately starts entering our auditory cortex, where the first stages of listening to sounds, the perception, and, analysis of tones occurs. The activation of each of our different brain centers depends on whether the music is new or familiar, happy or sad, in minor or major key, or–specifically and most importantly, for work purposes–whether or not it contains any lyrics. Why do lyrics matter? We need to remember that when we listen to music, we are basically multitasking. When we listen to music with lyrics, the cognitive resources that we need to accomplish certain tasks such as reading, memorizing, and writing, will decrease or cease entirely. One of the reasons behind that is because the brain’s language center will try to decipher all the words we’re hearing so we can understand it. Moreover, lyrics in songs may also trigger certain feelings or memories that are stored in our brain, thus adding another task onto it. 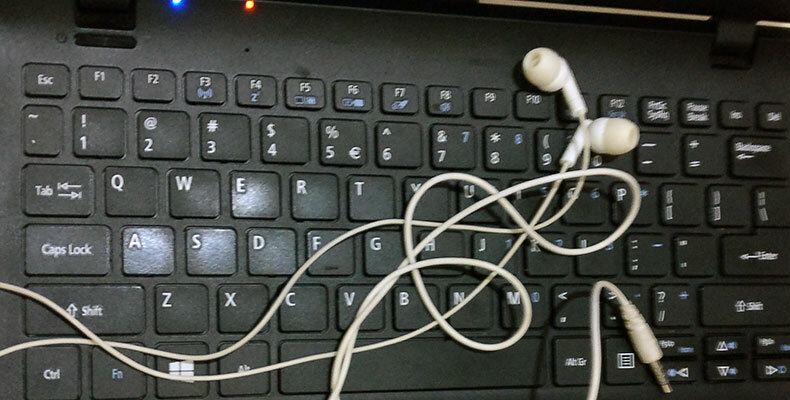 So, if you’re working on wrapping up word-related tasks such as composing an email, writing up a daily reports, it’s highly recommendable that you listen to music without lyrics or music with lyrics that uses languages you don’t understand, that has a steady rhythm and mood. Research has shown that constant, simple music that doesn’t have a lot of complexity, and emotional highs and lows, has the most positive effects in enhancing simple cognitive skills. In a research paper titled “Music—an aid to productivity” written by J.G Fox and E.D. Embrey that was published on Applied Ergonomics journal in December 1972, they wrote, “A series of experiments has investigated the relationship between the playing of background music during the performance of repetitive work and efficiency in performing such a task. The results give strong support to the contention that economic benefits can accrue from the use of music in industry. The studies show that music is effective in raising efficiency in this type of work even when in competition with the unfavorable conditions produced by machine noise.” From this citation, I draw an assumption that when you are faced with a repetitive task in a noisy room full of people chattering or machines running, putting on a happy and upbeat tunes might help take you work better, faster, and more focused. You can also put your playlist on shuffle or go to websites such as Spotify, Pandora, or Rdio (which are not available yet outside US and Europe), where they offer new music you might like based on your preferences for streaming purposes. It is mentioned by Pasick that the brain thrives on predicting the future; so, throwing some randomness into the mix, might just be the right action, as it can reward you with a surge of the pleasurable neurotransmitter dopamine. Imagine the groundbreaking thoughts and ideas you can come up with afterwards. There is music that you can use to tap into the power of music to trigger emotional responses. Everybody pretty much has some kind of an “anthem(s)” that they use to bring them into a certain type of mood, mindset, or state of being. If you have trouble starting your day at work, perhaps it’d be good to find a song—whether familiar or completely new—to lift your energy and set you to the right mood. Or if you’re about to go to an important meeting, faced with a challenging task—better yet, accomplishing it—an anthem can empower you, giving you more confidence, and encouragement, bringing you the kind of positive energy you need, enabling you to spread it to others around you. Nevertheless, even though music has its advantages, it is important to remember that playing music all the time can take the benefit of music away entirely; in addition to the fact that some tasks are better to be done in silence, as we sometimes need our cognitive resources to be undivided. The 1972 study has mentioned that when working on a complex managerial task, or contemplating on making major business decisions, it is recommended that you isolate yourself from anything that can be distracting, including music itself. Personally, I don’t work well with music on, because I ended up listening to the music and thinking about it more when I should be focusing on gathering my thoughts and doing my tasks. Maybe I listened to the wrong kind of music back then? I’m actually trying to put into practice what the article had said as I’m writing this article, and I ended up listening to the ancient solfeggio music, because everything else I’ve tried listening to has either made my thinking and writing slower or put me entirely on hold J. In conclusion, listening to music at work has both its benefits and downsides. However, as Adam Pasick has written, the key is in finding the right balance; choosing your music carefully, and match your tunes to the task. Now that we have this information we may well be on our way to finding the right set of music that can help increase the level of energy, productivity, and efficiency at work. Happy experimenting! Do you find yourself working more productively or efficiently when you listen to certain types of music, or would you rather work in silence but still with or without your headphone on? If you’d like to share your thoughts, experience, or even your work playlist, please do not hesitate to write it down in the comment box below. 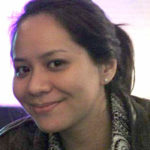 Veka was born and raised in Jakarta, Indonesia. In early 2004, she left for Switzerland to study and earned a dual degree in Hospitality Management and Business Administration in 2007. She also studied Music Business in California, and graduated in 2009.